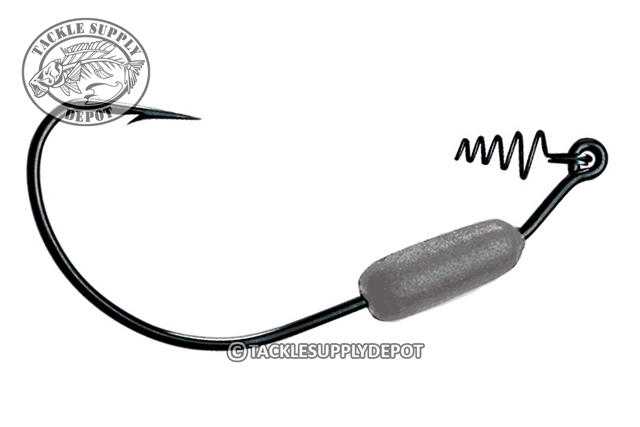 Mustad 91768S Power Lock Plus hooks feature a unique sliding weight on the shank of the hook which allows a change in presentation with ease. A spring keeper secured to the hook eye keeps soft plastics such as swimbaits, stick worms and jerkbaits secure in place. Available in multiple sizes to accommodate a range of lure choices to match any situations. 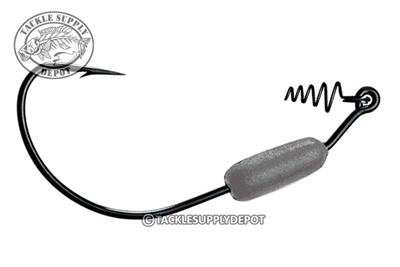 The Mustad Power Lock Plus Spring Keeper Weighted Hook also features Mustad's Ultra Point & Micro Sharp technology, which produces slimmer, chemically sharpened hook points with far quicker penetration.